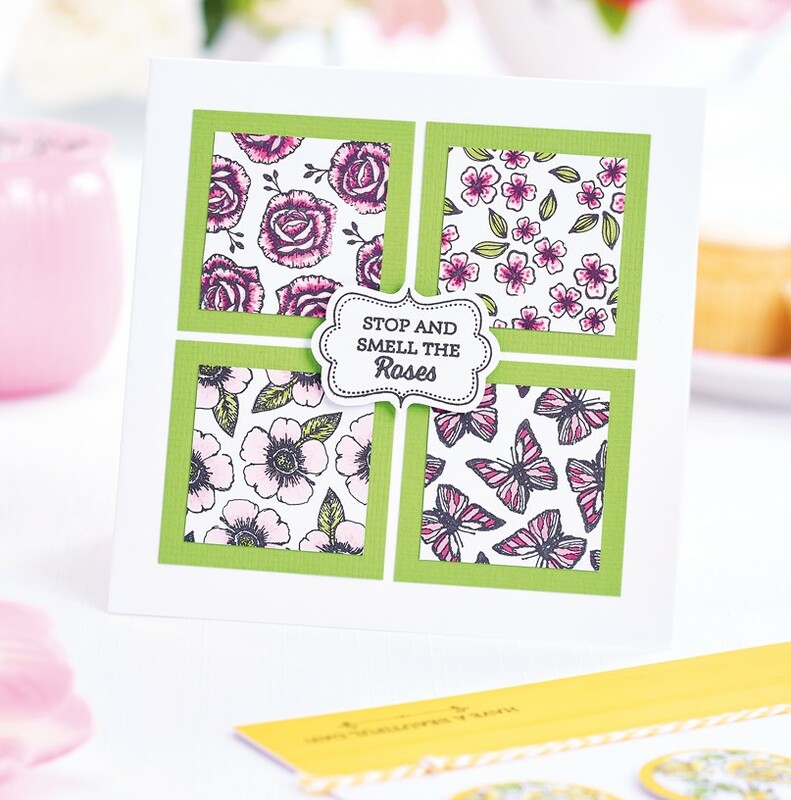 Keep crafting into spring with our fabulously uplifting floral stamps and sentiments. Create simple greetings with single stamps or go for something more complex by incorporating decoupage, different card folds or even embossing into your finished look. No matter how you use the stamps, the finished cards are sure to bring a smile to their recipient’s face. Our designers Helen Fitzjohn and Colette Smith have dreamt up 21 designs to get you started! Randomly stamp small flowers and butterflies over four 4cm panels of card. Mat onto green card, 5cm square. Arrange centrally onto a 12.5cm square blank. Stamp the sentiment, then trim and fix to the centre of the four panels. Stamp the small rose bouquet and colour in. Cut into circles, 3cm diameter. Matt onto slightly larger circles of bright yellow patterned paper. Cover the bottom of a side fold landscape blank, 10.5cm x 14.5cm, with a 4cm deep panel of the same yellow paper. Secure the circles across the top of the blank with foam tape. 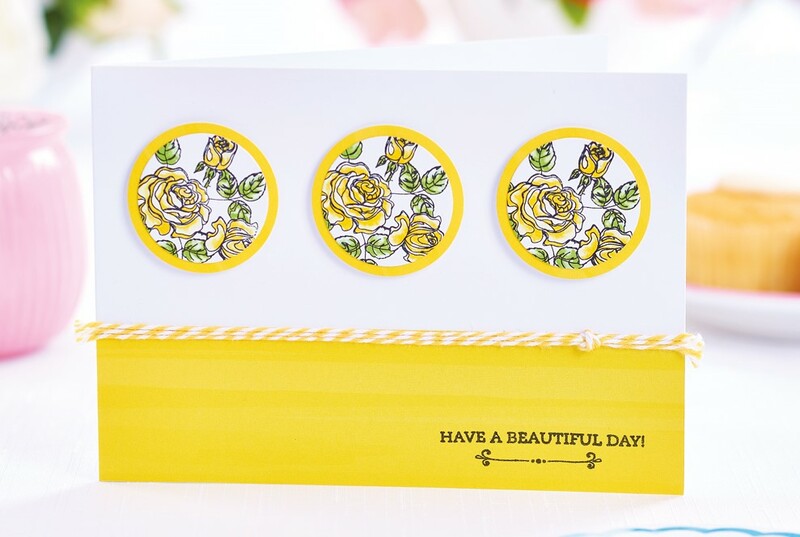 Stamp the sentiment in the lower right corner and attach lengths of yellow twine over the paper join.